Mix and Chic: Guest posting at Live.Create.Inspire. Today, I am guest posting at Live.Create.Inspire, one of my favorite decor blogs. Urska's blog is filled with many gorgeous spaces and inspirations. When you get a chance, please hop over and check out her beautiful blog. Here is a sneak peek of my guest post: Colorful Kitchen Ideas And Inspirations. Thank you Urska for having me over. Hope to see you there! Ooooh exciting! Popping over there now! congrats :) I'll check it out! love the colourful details. Awesome! Going to check it out for sure! Happy start to the week! Off to peek! What a gorgeous colourful kitchen. I need to bring a bit more colour into mine. Great inspiration! 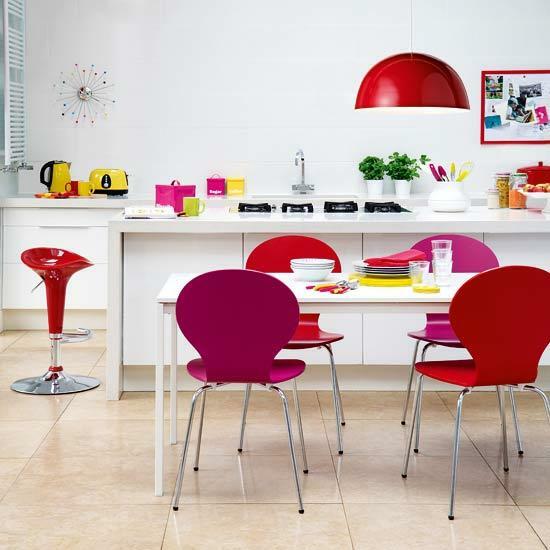 I love colour and this kitchen looks fab! It makes you feel happy!! !